BlizzCon, the Christmas in November for Blizzard fans, is now just a few weeks away, and as always I’m here to make my predictions and list my hopes for what we’ll see there. This year, I think we all know what the big story will be. It is at this point about 99.9% certain that the next WoW expansion will be announced at BlizzCon 2017. We know Antorus is Legion’s last raid tier, so the time is right. The question then is not whether an expansion will be announced, but what it will be. I’ve talked before about the datamined armour set pointing to Kul Tiras. Since then, we’ve also learned that the key art for Warcraft at BlizzCon is a lavish portrait of Jaina Proudmoore, the most famous Tirasian in the Warcraft universe, which I think all but confirms Kul Tiras as the setting of 8.0. But what will we be doing in Kul Tiras? As I said in the linked post, Azshara and the Naga are the first thing that comes to mind, but there have been so many false alarms on that front over the years that I’m trying not to get my hopes up. Kul Tiras has historically been very anti-Horde, and Jaina has pretty much turned into her father at this point, so this could also be another expansion focusing on the faction conflict. I hope not, because that angle is beyond played out at this point, but it’s definitely something I could see Blizzard doing. Maybe this will be Mists of Pandaria 2 with Jaina playing the role of Garrosh. Sadly, I don’t think that’s as far-fetched as it sounds. One thing I did find interesting is that one of the panels on the BlizzCon schedule is devoted to the voice actresses who play Warcraft’s female characters. Maybe it’s nothing, but to me that seems a bit of a random thing to do, considering how male-dominated WoW has tended to be. 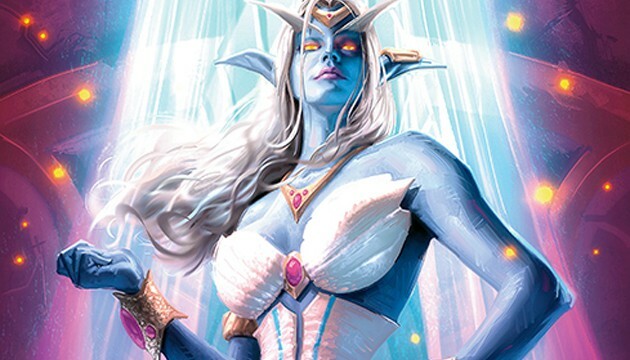 However, if this is the first expansion with a female villain — Azshara — then it would make a lot more sense. There’s also a solid chance a Kul Tiras expansion could be something totally unexpected that none of us could have seen coming. 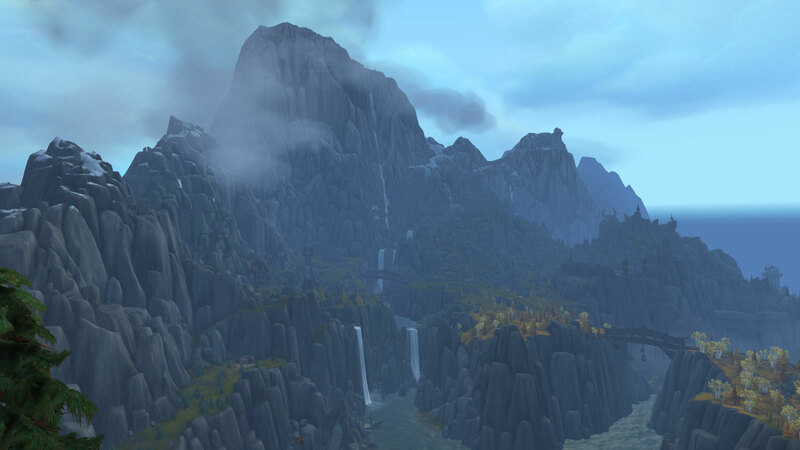 Warlords of Draenor proved anything is possible, for better or for worse. Mostly for worse, if I’m being honest. So now that we’ve read the tea leaves regarding the story and setting, what about the features? As always, I want to see a new class and/or new specs. New ways to play are always exciting. There’s a fair bit of speculation going around that Alleria’s story on Argus is setting up a new void-themed archer class. I would love to see that proven true, because that’s pretty much my dream class. But realistically I don’t think we’re going to see any new classes or specs so soon after the addition of demon hunters and Legion’s big class shake-ups. I think Blizzard will prefer to play it safe on that front for now — though I do think it’s very likely we’ll see new race/class combos opened up. However, it has now been more than five years since a new playable race was added to World of Warcraft, and I think odds are very good that drought is about to break. I’ve wanted Vrykul to be playable for years, and after Legion, I feel like that possibility is closer than ever. 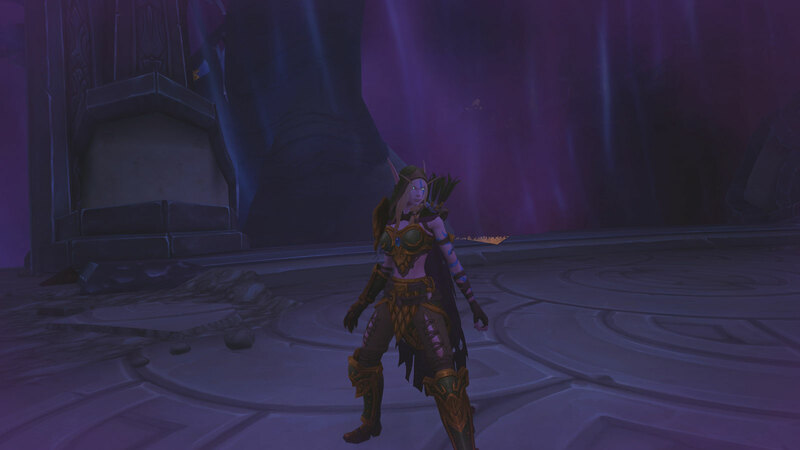 Legion did a lot to expand their culture and flesh them out as a people, and given that we’ve now seen equivalents of most playable classes among them (the Valkyra are basically paladins, for instance), part of me suspects Blizzard is prepping them for playable status. If Vrykul are added, I think they would probably be another neutral race. Their culture fits in well with the Horde, but their connection to humanity gives them an in with the Alliance. It’s too hard to judge which faction suits them more, so why bother? Giant Vikings for all, I say. If we don’t get Vrykul, there are still a few other possibilities for new races. I’m surprised Ogres aren’t already a playable race for Horde, and on the Alliance front, Furbolgs could be an option. They’ve long been allies of the Night Elves, so it would make sense. 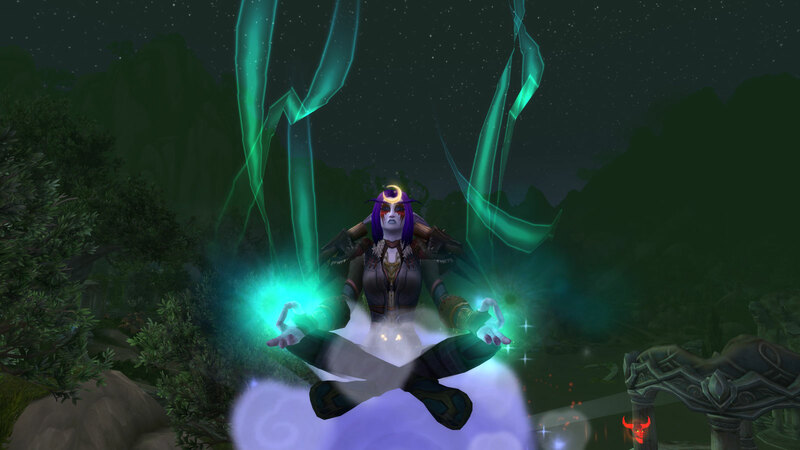 There’s a lot of speculation around Nightborne being made playable, too. I think they’d be too close to our existing Elven races to really justify the development — they look very close to Night Elves and act very close to Blood Elves — but I can’t rule it out. If any races do get added, look for them to be the first hero race(s). That is, expect them to start at a high level, similar to demon hunters or death knights. I think Blizzard has just given up on leveling at this point, and even I have to admit 110 levels (presumably soon to be 120) is a daunting prospect for anyone. There’s also been talk of new character customization options being added for all existing races, and I think there’s a decent chance of that. The new Eredar looks on Argus could be a test of this. Personally, I’d love to be able to give my rogue blue hair. Of course, we’re bound to get the usual new zones, dungeons, and raids. Beyond that and a possible new race, I don’t expect a lot of big news. I think Blizzard is done with adding permanent new systems or features at this point. I don’t think class halls will continue to be relevant past Legion, but expect a mission table of some sort — with new followers to restart the grind. Similarly, I don’t think class campaigns will continue. Even Blizzard doesn’t have the resources to maintain twelve distinct stories indefinitely. Well, they probably do, but it would cut into their ability to add more exclusive gear, mounts, and boss phases for the 0.1% of people who do mythic raids, and obviously we can’t have that. However, class campaigns have been popular enough that we might see something similar. One possibility that I see is that instead of each class having its own story, there are a couple of different campaigns shared between several classes. For example, shamans, druids, and hunters could share a campaign, since they’re all nature-themed classes. We already know artifacts are going the way of the dodo — though I still can’t imagine why — but I wouldn’t be surprised to see some max level progression system that’s nearly identical to the artifact power grind, just without the artifact. 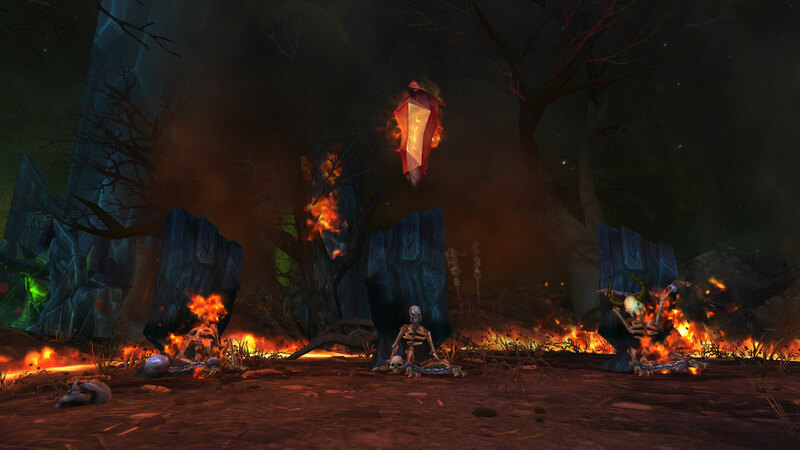 I expect 8.0 zones will use Legion’s level-scaling system, but I don’t think the Broken Isles will scale past 110, and I don’t see the tech being applied to legacy content. It’s just too big a change, and Blizzard tends to be relatively conservative. Which is a shame because I’d love to see a “One Azeroth” update with global level-scaling. So much potential that could open up. Beyond the WoW expansion, I don’t see a lot of big news coming out of BlizzCon 2017. We already know Diablo won’t have any news, and I imagine it will be steady as she goes for the other games. 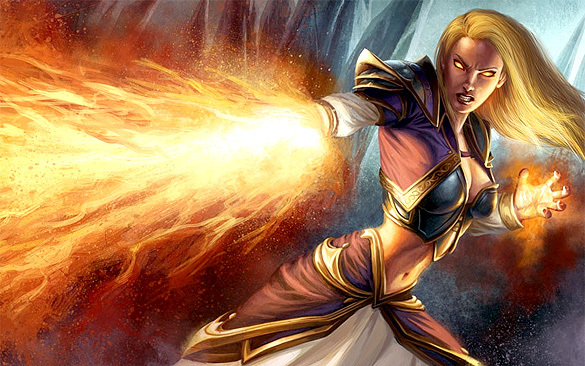 Hearthstone will get a new expansion. Overwatch will get a new map and/or character. Heroes of the Storm will announce some new heroes. 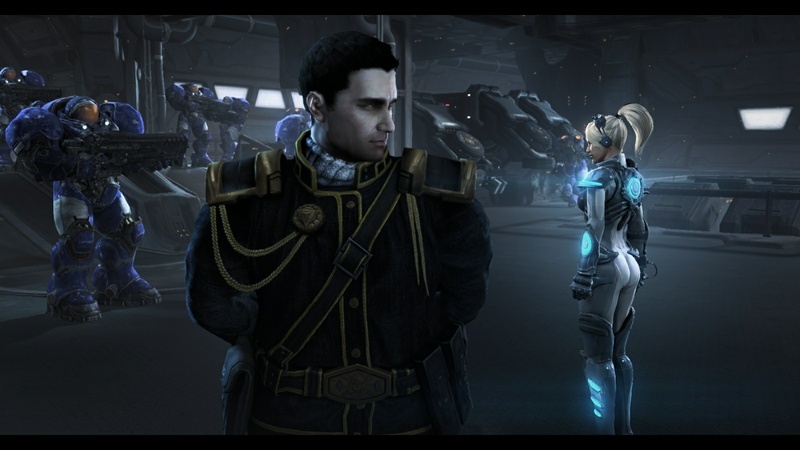 I’d love to see some more story content for StarCraft II, but there’s no reason to believe that will happen. Most likely we’ll just see a new War Chest and co-op commander. We already know that the next commander is Terran, and it will probably be Matt Horner. He was one of three unreleased commanders with achievement headings in Legacy of the Void’s beta, and the other two — Stukov and Karax — are now in-game. I’m hoping he’s focused on air units, especially Battlecruisers. We know Blizzard is working on at least one new game, which is believed to be an MMORTS for mobile platforms. Reeeaally not sure how to feel about that, but I don’t have to decide now, as I very much doubt it or any other new title will be ready for reveal at this BlizzCon. Similarly, I suspect Blizzard is probably working on more remasters of old games, but they probably won’t announce anything so soon after the release of the StarCraft remaster. Given that Blizzard’s idea of a remaster seems to be only a minor tweak to graphics and nothing else, the idea of revamps of their older titles doesn’t excite me much anymore. The one I would like to see is Warcraft III, as it’s the only one whose gameplay can still hold up in 2017. It doesn’t need more than a graphical spit-shine. In summary, I predict Kul Tiras will be the headline, probably with a new race(s), which I hope will be Vrykul, as well as new race/class combos. There will be only minor updates to the other games, of which Matt Horner will be the only one that really matters to me. What do you expect or hope to see at BlizzCon 2017? This entry was posted in Games and tagged Diablo, fantasy, Hearthstone, Heroes of the Storm, Overwatch, sci-fi, Starcraft, video games, Warcraft, World of Warcraft by Tyler F.M. Edwards. Bookmark the permalink.